Chattanooga, also known as "the Scenic City", sits surrounded by mountains on the banks of the Tennessee River. A city with deep historical roots, Chattanooga's timeline stretches all the way back to Hernando de Soto's search for gold in the 1500s. Three hundred years later, in the early 1800s, the city was a major hub for trade with the Cherokee Indians. Now, Chattanooga is well known for both its impressive arts scene and its breathtaking natural beauty. With its exquisite views, walkable streets, and rich cultural history, it is easy to see why Chattanooga real estate is always in high demand. Chattanooga has a large medical community with over 1,100 doctors and approximately 5,500 nurses. For a fun ride around the city, take a ride on the Chattanooga Water Taxi. Need to travel a bit further? The Chattanooga Metropolitan Airport operates a number of flights to and from the city 24-hours per day. 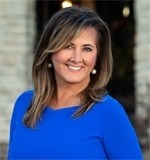 Call Paula McDaniel today for all of your Chattanooga Real Estate needs.